Intro to the IWW “102” Class, This Friday! Learn more about your union and how we keep it democratic. PART 2 in our Introductory series about the IWW! In our recent Introduction to the IWW “101” class, we discussed what makes the IWW unique in comparison to other unions, we talked about the key principles of Solidarity Unionism and Direct Action, and we had a discussion about the Preamble to the IWW Constitution. In this second class, we will talk about the organizational structure of the IWW (both locally and internationally), some active organizing projects of the IWW, a little IWW history, and we will discuss the various resources of our union. This class is FREE and open to all workers. Participation in the recent Introduction to the IWW “101” class is not required; please let us know if you have any questions. Light snacks will be provided! Portland IWW Hall – 2249 E Burnside St.
All workers welcome! Learn more about the key principles and values of the Industrial Workers of the World in an engaging and welcoming environment. We want you to join and help build the union in your workplace. This introduction class is a great first step! Questions? Contact the branch secretary by email or by calling 503-893-2382. Need childcare in order to participate? Email our Junior Wobblies coordinator ASAP to talk about options. All workers welcome! Learn more about the key principles and values of the Industrial Workers of the World in an engaging and welcoming environment. We want you to join and help build the union in your workplace. This class is a great first step! 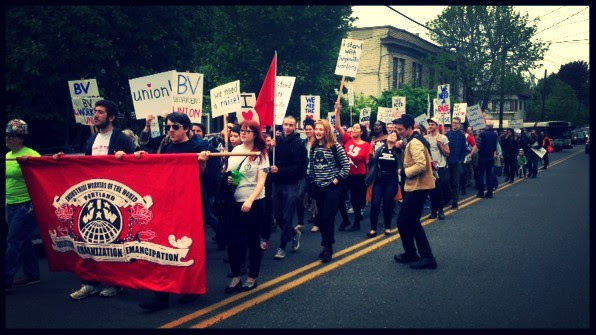 The IWW is on the move in Portland. How do you want to get involved? The IWW is a member-run union for all workers, a union dedicated to organizing on the job, in our industries and in our communities. IWW members are organizing to win better conditions today and build a world with economic democracy tomorrow. We want our workplaces run for the benefit of workers and communities rather than for a handful of bosses and executives. 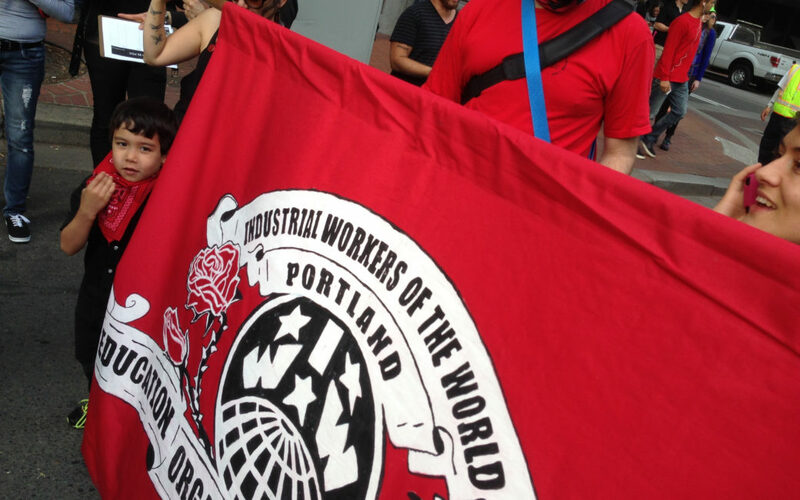 Copyright © 2019 Industrial Workers of the World - Portland, OR | Theme by SiteOrigin.